About 60 of the population is said to wear glasses. While glasses are more common among seniors, nowadays many children and young mothers also have to wear glasses due to weak eyesight. However, very few people know how to take care of their glasses. It’s vital to handle your glasses with care so that you don’t have to look for a replacement every now and then. 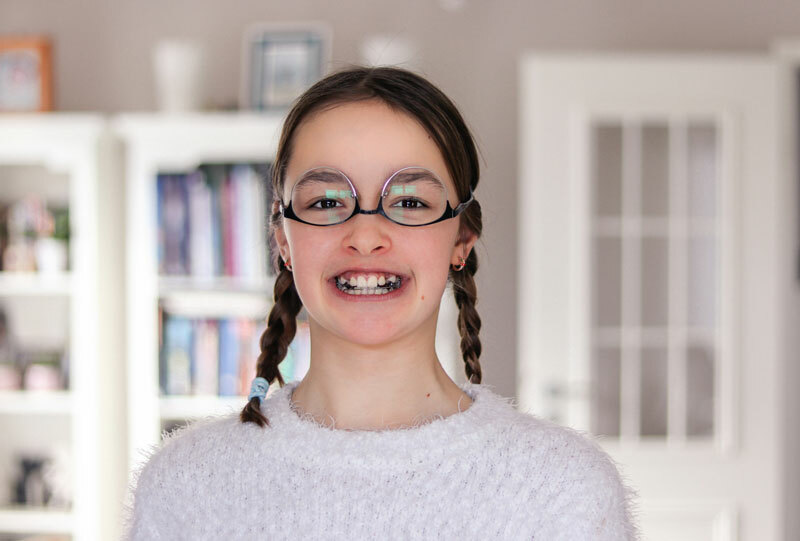 Kids can be careless when it comes to taking care of something including their glasses. They use them rough which can cause a lot of scratches on the glass. Plus, the frame may also mend or get stained. Scratched glasses not only look bad but can cause headaches and eye strain as well. The scenario is not very different for mothers. Many fail to take proper care of their glasses and have to wear scratched frames. Clean Them Regularly With Cotton Wipes: It’s common for people to clean their glasses with tissues and towels. It may not look harmful to you, but the use of towels and other such products can damage the glass over time. Always use 100% cotton wipes that are meant to clean lenses. This way the glasses will sustain no damage. It may look like an investment but it’s worth it. Use Specifically Designed Chemicals To Clean Them: If you want to apply some chemical to clean your glasses then make sure that you use one that’s specifically designed to clean lenses. Do not use home chemicals such as Windex or any other. It can wreak havoc on your glasses in the long-run. Also, try not to wear your glasses while they’re wet. Air dry them before you put ‘em on as wet glasses may catch dust and other such items, causing them to get stained or scratched. Your kid won’t be wearing glasses 24/7 which is why you need to buy a hard plastic or leather case to ensure the glasses are stored safely. Kids can be careless and leave their glasses anywhere unless you train them to keep the glasses in a case everytime they remove the pair. The case will protect the glasses from scratches. Mothers can also use a hard plastic case and secure their glasses. It can be a good idea to buy scratch-resistant glasses so that the damage is little to none. While scratch-resistant glasses are typically more expensive, they’re worth the price since they’re more durable and also look more attractive than regular glasses. Almost all major sellers now offer scratch-resistant glasses. Check out firmoo online eyewear store as the store offers a wide variety of scratch-resistant glasses. All their glasses are anti-scratch and UV resistant. This is a great plus because you know the products will be with you for a long period of time. The prices are also quite low, since it’s only an online store. The sound of glasses dropping and hitting the floor is something that no human on earth wants to hear. However, it can happen in the blink of an eye, especially with kids. It’s common for kids to break their glasses as they’re too consumed playing or taking part in other activities. In fact, mothers can break their glasses too if they’re not too careful. Sometimes it happens because the glasses are not properly fitted and sometimes due to poor care. This is why we suggest that you consider glasses that are unbreakable. Thanks to technology, it is now possible to wear glasses that are not prone to damage. If you can’t find a good store, head over to Firmoo one more time. The brand deals in inexpensive glasses with polycarbonate lenses. These lenses are impact-resistant, 40% thinner, and one-third lighter than plastic lenses. It’s not that they are immortal but they definitely provide 10 times the resistance compared to conventional plastic lenses. Therefore, it can be a good idea to invest in such glasses. Follow these tips and provide your glasses the care that they need so that you don’t have to spend money on repairs or replacements too often.